"One of the top 10 Short Film Festivals and Top 10 International Film Festivals in the United States. The RIIFF provides the kind of intimate festival experience that will change your life. Don’t miss it. " The Producing Director reports to the Managing Director. The Producing Director oversees grant writing and fundraising elements within Festival. Duties include managing staff; overseeing information and cost management; and develop, maintain and enable foundation processes and policies consistent with company interests. Coordination of long-range and annual planning in collaboration with the Executive Director and the Managing Director. • Demonstrate capacity to lead, manage, motivate and inspire the Festival's team. • Demonstrate a strong work ethic, stamina and passion. Position Open. If you would still like to submit your resume, please send email it along with an introductory email to info@film-festival.org with Administration in the subject field. Please note that due to the high volume of applications received, not every candidate will be contacted. Eligible applicants will be notified via phone or email should appropriate positions arise. The Box Office department handles all of the ticket selling and distribution operations for the festival. Box Office employees should preferably have some customer service experience and have the ability to manage a lot of different information. The box office personnel is often the primary point-of-contact for festival customers. The Box Office department will begin looking for seasonal employees for the 2010 Rhode Island International Film Festival around late Spring. You are welcome to submit your resume now, but it is unlikely that you will be contacted until positions arise and are posted. If you would still like to submit your resume, please send email it along with an introductory email to info@film-festival.org. Please make sure to write Box Office Department. Due to the high volume of applications received, not every candidate will be contacted. Eligible applicants will be notified via phone or email should appropriate positions arise. responsible for assisting the Production Manager with other production related needs. These are part time postions. Pre-festival, work with the Managing Director on office and event production needs, organizing the production database, shipping and receiving, purchasing, runs, etc. as needed; Work closely with the Managing Director and Special Events Manager to insure all event production elements are being met; Coordinating with festival sponsors and venues for events and the specific materials and product needed at each; Supplying festival venues with predetermined materials and equipment; red carpet, signage, lights, stage, audio, etc. ; Organizing and overseeing a system for the transportation, delivery, strike and storage of materials for each event; Post-festival, assist the Managing Director in organizing the office and storage unit. 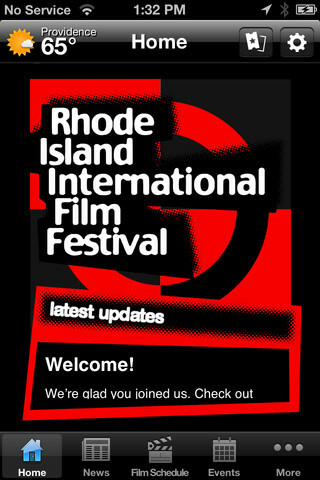 The Outreach Coordinator, under the direction of the Executive Director, will coordinate community partnerships and dissemination of publicity materials for the 14th Rhode Island International Film Festival (RIIFF) from August 10-15, 2010. This position requires correspondence and coordination with Rhode Island and southern New England community organizations, public schools, and small businesses. Research, solicit and confirm community co-presenters for all films at the festival. Coordinate and schedule attendance of high school students at annual Schools at RIIFF screenings. Coordinate distribution and replenishment of Festival catalogs and posters throughout the Rhode Island Area. Set up and maintain current database of community co-presenters. Create manual for Outreach position. Assist w/ selection process, inviting of short films, coordinate selection committee, etc. international film festivals, inviting of feature films from around the world, coordinate with distributors and sales agents to promote work screened at RIIFF, interface with filmmakers and/or producers to receive invite letters, etc. Position Open. If you would still like to submit your resume, please send email it along with an introductory email to info@film-festival.org with Programming Department in the subject field. Please note that due to the high volume of applications received, not every candidate will be contacted. Eligible applicants will be notified via phone or email should appropriate positions arise. The Publications department handles all Festival-related print, design and web collateral, including but not limited to ads, posters, postcards/invites, signage, one-sheets, sponsorship packets and presentations, and press materials. The Publications department will begin looking for seasonal employees for the next Rhode Island International Film Festival around the spring 2010. You are welcome to submit your resume now, but it is unlikely that you will be contacted until positions arise and are posted. If you would still like to submit your resume, please send email it along with an introductory email to info@film-festival.org with Publications Department in the subject field. Please note that due to the high volume of applications received, not every candidate will be contacted. Eligible applicants will be notified via phone or email should appropriate positions arise. The RIIFF Colloquia/Panel department will begin looking for seasonal employees for the next Rhode Island International Film Festival around spring 2010. You are welcome to submit your resume now, but it is unlikely that you will be contacted until positions arise and are posted. If you would still like to submit your resume, please send email it along with an introductory email to info@fillm-festival.org with RIIFF Colloquia /Panels Department in the subject field. Due to the high volume of resumes received, not every resume submission will receive a response. Eligible applicants will be notified via phone or email should an appropriate position arise. The Sponsorship Department's seasonal staff is hired by the RIIFF Administration. The months leading up to and during the Festival, RIIFF Administration takes on the responsibility of executing and activating all sponsor contracts which may include, but is not limited to private events, sampling, sponsor screenings, hospitality, entertaining, product placement and gifting. RIIFF Administration looks for individuals who are able to work autonomously -- team players who are first and foremost concerned with giving our sponsors the best experience possible; the best they've ever had. We look for highly motivated individuals who are proactive, detail orientated and possess excellent communication and interpersonal skills. Proficiency in the Microsoft Office Suite is a must, and experience in SalesForce.com is a plus. The Sponsorship department will begin looking for seasonal employees for the next Rhode Island International Film Festival in early 2010. You are welcome to submit your resume now, but it is unlikely that you will be contacted until positions arise and are posted. If you would still like to submit your resume, please send email it along with an introductory email to to info@film-festival.org with Sponsorship Department in the subject field. Due to the high volume of resumes received, not every resume submission will receive a response. Eligible applicants will be notified via phone or email should an appropriate position arise. The Technical Department is responsible for putting on the show at the Rhode Island International Film Festival. Our mission is the best presentation experience of any festival for the filmmakers and audience. We work very closely with festival filmmakers from the moment their works are selected, through the screenings at the festival, and post-fest as an ongoing resource. The tech staff manages all the technical aspects of the festival, including the installation of state-of-the-art digital video and digital cinema projection, temporary movie theaters, and running the logistics of moving films all over Rhode Island and shipping them over the world. The Tech department will begin looking for seasonal employees for the next Rhode Island International Film Festival around the spring 2010. You are welcome to submit your resume now, but it is unlikely that you will be contacted until positions arise and are posted. If you would still like to submit your resume, please send email it along with an introductory email to info@film-festival.org with Tech/Print Traffic Department in the subject field. Due to the high volume of resumes received, not every resume submission will receive a response. Eligible applicants will be notified via phone or email should an appropriate position arise. The Rhode Island International Film Festival is seeking a Venue Manager to oversee front-of-house duties including volunteer management, ticketing, merchandise, public speaking, and money, while interacting with the public and RIIFF staff in a friendly manner. The Festival is one of Rhode Island’s premier cultural events and takes place August 10-15, 2010. RIIFF seeks candidates who are detail oriented with strong communications skills, in addition to strong skills in cash management. Experience with festivals is preferred. Venue Managers will report to the Box Office Director. The Venue Manager will be the primary point person for all screening and other activities at any particular festival screening venue. We will hire one Venue Manager to be in charge of each individual location. Act as stage manager for intros and post-screening film talks (if "Festival Host" is not available); Assist visiting filmmakers and special guests as needed; With Volunteer Coordinator, recruit and train venue volunteers and cashiers; Implement festival procedures to oversee all front-of-house operations; Supervise all venue volunteers, which will include cashiers, line control, and projectionists; Understand safety and emergency procedures and location of first aid, circuit breakers, and supplies; Check projection and sound equipment and ensure films are in order before screenings begin; Ensure screenings start on time; Ensure technical difficulties are addressed; Provide stellar customer service; Problem-solve as issues arise. or mail to the address below. The Rhode Island International Film Festival is seeking a Volunteer Coordinator to recruit, screen, schedule, and supervise the volunteer base, which serves everyone involved with the Festival including staff, filmmakers, audience, press, and celebrities. The Festival is one of Rhode Island’s premier cultural events and takes place August 10-15, 2010. RIIFF seeks candidates who are detail oriented with excellent communication skills, proficiency with computers including skills in Microsoft Excel, Word, extremely organized with ability to multi-task in fast-paced environment, excellent people skills and ability to manage large groups of volunteers. Experience with festivals is preferred. Event planning and volunteer experience is a plus. The Volunteer Coordinator will report to the Managing Director. During the six days of the Festival and three weeks prior, the Volunteer Coordinator will independently manage the primary information desk and volunteer base at the RIIFF Headquarters. Handle scheduling, schedule adjustments and coordination of approx. 125 volunteers; Maintain constant communication with Venue Managers; Maintain volunteer database and track volunteer hours/benefits; Manage Volunteer desk at Festival headquarters assigning tasks to volunteers and troubleshooting volunteer needs; Serve as liaison with Venue Managers to ensure that volunteer assistance at all venues is functioning appropriately; Attend Festival staff meetings; Work with various Festival departments to determine volunteer needs and supply the appropriate number of volunteers for specific tasks and fill slots as needed; Research/outreach to community businesses for donations of goods/services; Plan and coordinate Volunteer Wrap party; Draft thank you letter to volunteers; Provide post-Festival report to staff. 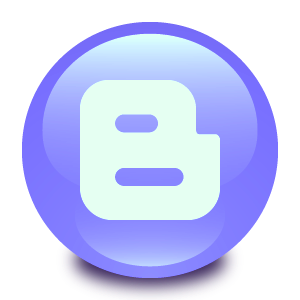 • Maintain volunteer database and track all volunteers. These jobs require the ability to work in a team environment and make decisions based on RIIFF policy. Must be able to think and act quickly under pressure, handle tight deadlines and juggle many things at once. Will need to see the “big” picture when working with all departments and maintain a positive attitude. Thank you in advance for your interest in working with the 2008 Festival! Please also include a cover letter that notes which department(s) you feel would most complement your interest and skill sets. Due to the high volume of applications received, not every candidate will be contacted. Eligible applicants will be notified via phone or email.